Here you will find some of the industry's latest trends including celebrity favorites like Minx (colorful film nail applications), gelish® Non-Chip Nails, smoothing and straightening hair treatments and human hair extensions. 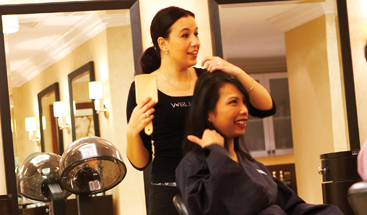 WELL Spa® + Salon is home to Milwaukee's most talented designers and colorists. Here you will find some of the industry's latest trends including celebrity favorites like Minx (colorful film nail applications), gelish® Non-Chip Nails, smoothing and straightening hair treatments and human hair extensions. 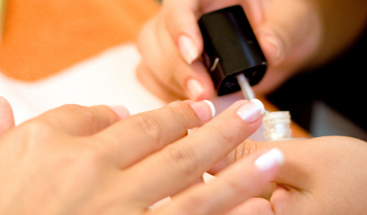 When it comes to nails, WELL Spa® + Salon's experienced technicians are as meticulous as you. The salon features sophisticated SpaRitual®, an organic and vegan nail product collection. Maximize your manicure's wearability with TRUEBOND™, a breakthrough system formulated to extend the wear of your polish. WELL Spa® + Salon offers custom makeup applications, individual makeup lessons and special occasion makeup. A traveling artist is also available upon request for your off premise occasion. Our men’s services are specifically designed to meet the distinct needs of our male guests. We have compiled a short list of your most requested grooming, relaxation, and therapeutic treatments. From updos and special occasion hair to hair cuts, color, waxing, nail services and mineral makeup application, our goal is to create a look that complements your lifestyle and exceeds your expectations.